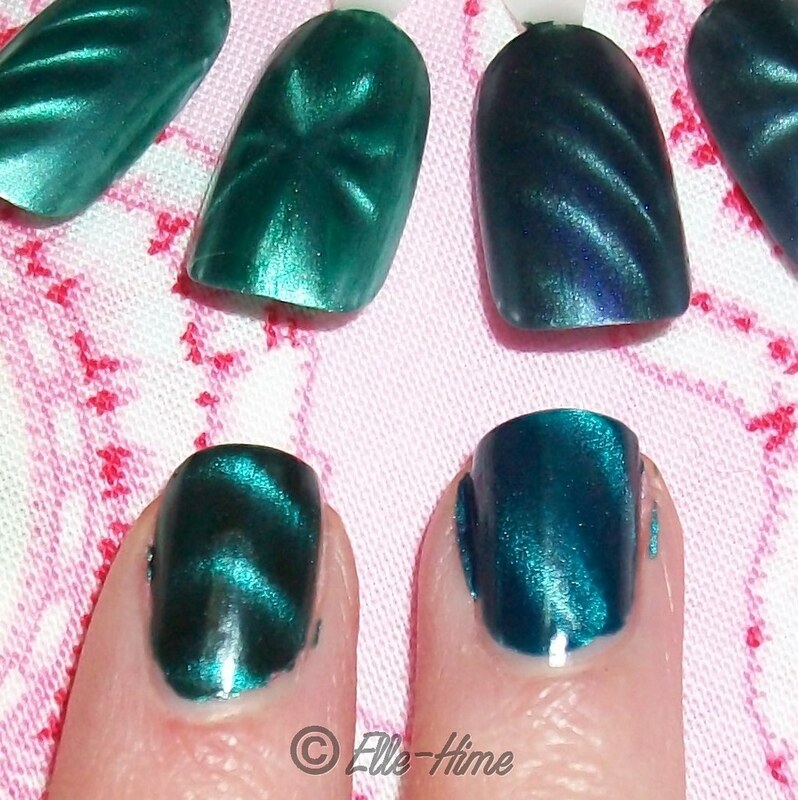 Today I have some quick magnetic polish swatches. I'm comparing green-blue colors. These swatches were done super-quick and I apologize for the slight mess. Layla brushes hold more polish than Nails Inc and I wasn't expecting it! On my nails here you see Layla Turquoise Wave, Nails Inc Whitehall, Turquoise Wave, Whitehall. In my opinion Turquoise Wave looks like the teal color, and Whitehall, often mentioned as Whitehall Teal, is an evergreen. It is a deep green that definitely leans blue, but not quite enough to be called teal. And Turquiose Wave? Well, to me turquoise is a much brighter, lighter aqua color. Either way they are pretty polishes, especially if you're a fan of darker jewel tones. 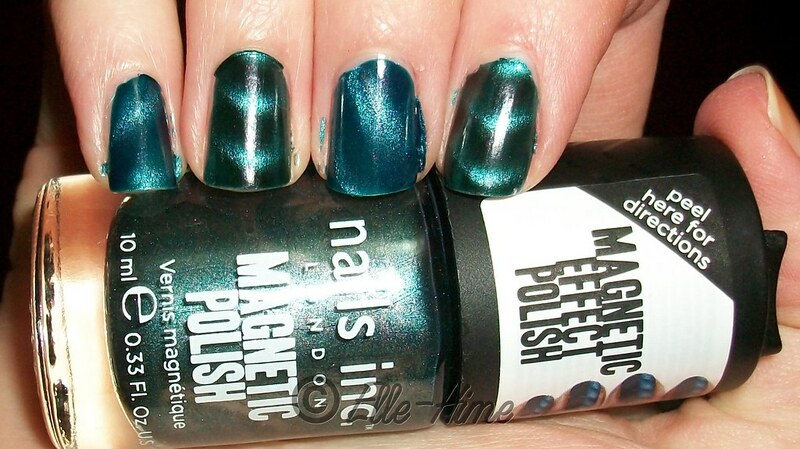 On the nail wheel I swatched LCN Green Temptation and Ferromagnetic Blue. Green Temptation is a true green color, Ferromagnetic Blue has a hint of purple but mainly appears blue. The fingernail swatches are Whitehall and Turquoise Wave. 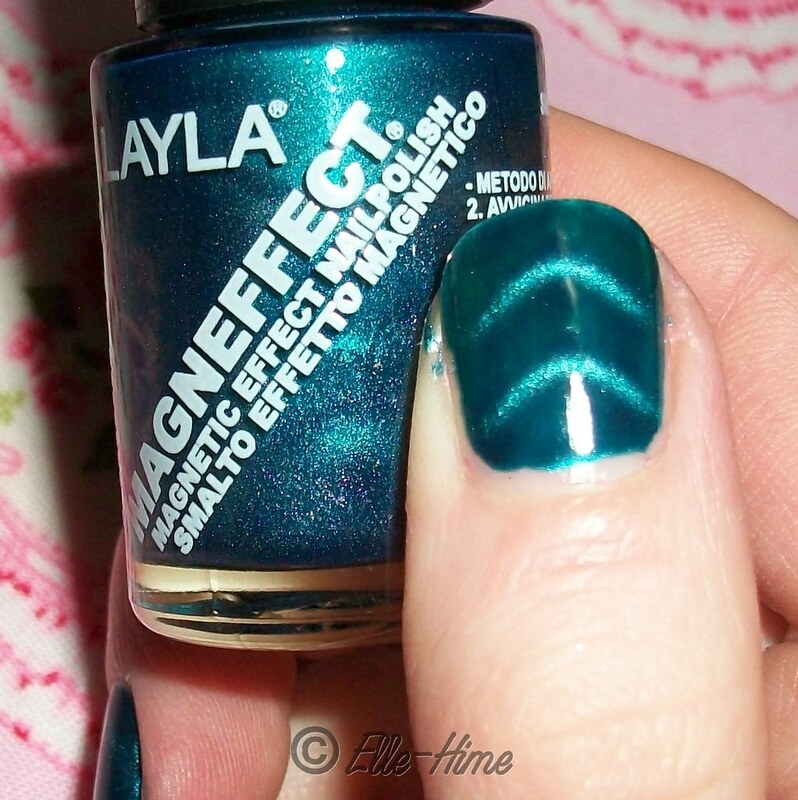 Here is one last shot of Layla Turquoise Wave using the Nails Inc. wave-pattern magnet. Perfectly pretty! thank you for the comparison! i need this nail inc one, !! the dum girl at sephora told me that it never arrived at sephora because its defective ! . boo . . where did you get yours?